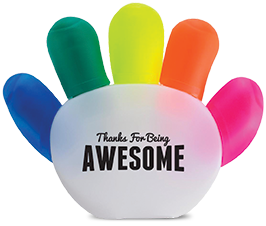 Friday March 1, 2019 is National Employee Appreciation Day. This day was created in North America for all employers to focus their attention on their employees. It is a special day where employers can honour hard work and dedication by presenting employee gifts in places like Labrador and to offer employee recognition awards in provinces like British Columbia. Employee recognition occurs all across Canada Being recognized and appreciated is a fundamental human need. We can easily recognize our family and friends, but it is equally important for business owners to recognize their employees. Employee gifts and employee recognition rewards show people that they are valued. When people feel valued, their satisfaction, contentment, and productivity rises, and in turn they remain motivated to continue their good work. In addition to employee gifts of items like jewellery and employee recognition rewards in the form of plaques, there are many ways to appreciate employees inexpensively. Employers may consider simple acts of verbal or written recognition for rewarding a job well done. Other employers may provide treats or lunches or organize potlucks to celebrate Employee Appreciation Day. If it is feasible, employees can be granted a more flexible work schedule if needed which ultimately invests in the health and well-being of others. We should all learn to appreciate others more regularly. When we appreciate others, we make them feel good about themselves. When we support others we show our gratitude which translates into greater productivity and joy within the work place.